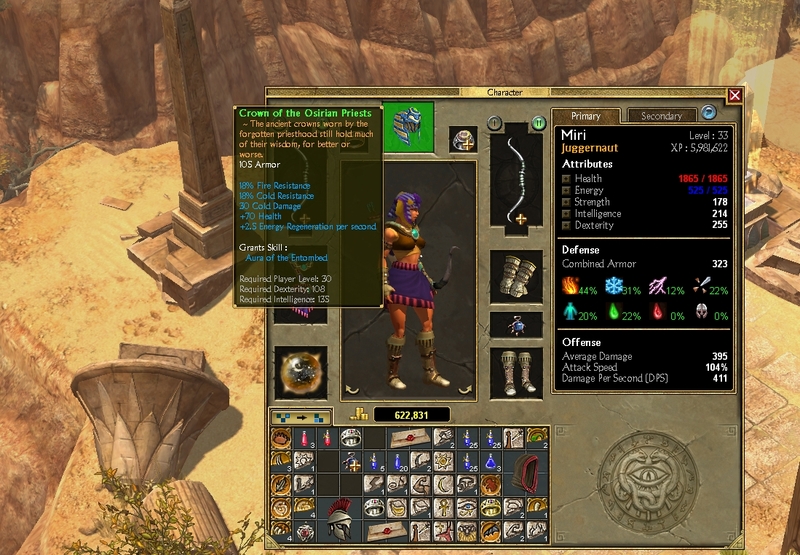 So the question remains; why didn't Iron Lore end up using this in Titan Quest?? Just to jump in on this thread I was working on making an MI helm last night using the Crown of the Great King. While messing around with different textures I discovered this one which I've previously never seen..
Also, sadly while it shows in the editor when I go ingame and equip my new MI crown with this texture it doesn't show up but reverts back to the original crown texture... sigh oh well. Edit; in AM BaseTexture is "Items\equipmenthelm\r_priesthelma.tex"
Lol so you're saying it seems a good build in most respects Botebote77? Or just weird how it works? Idk honestly my main focus with this one is on getting recharge reduction and decent cast speed. 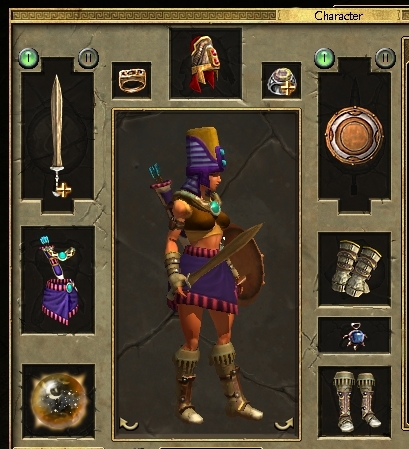 Im hunting for Mantle of Amun Ra to increase this but current chest provides good resists and +2 to all Skills which is nice. As for the staff, Hades Scepter is not bad and buffs the Volcanic Orb but id like to try Eye of Osiris or Moros Nyx if I could ever fimd them! 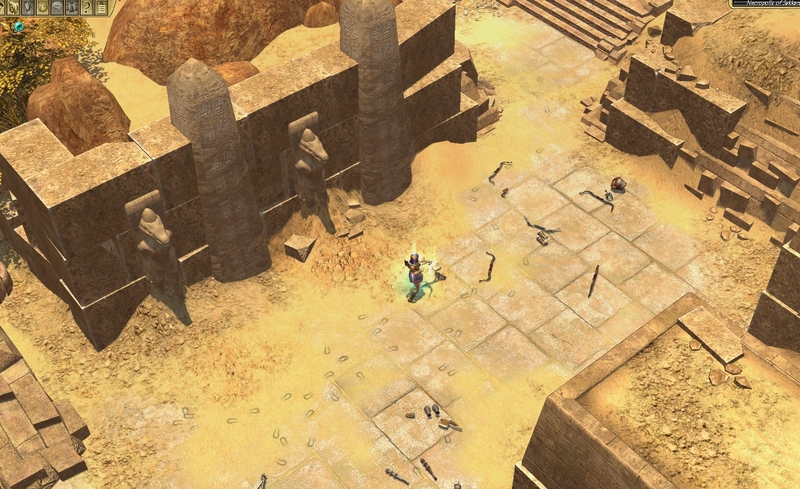 Streaming some TQ:AE, hoping to find some shiny legendaries!